The CurtainCage Hardware Kit is the fastest and easiest way to install your Standard Size Net safely and with a professional appearance. Here’s a quick look at how the individual hardware items work together to safely secure your net. 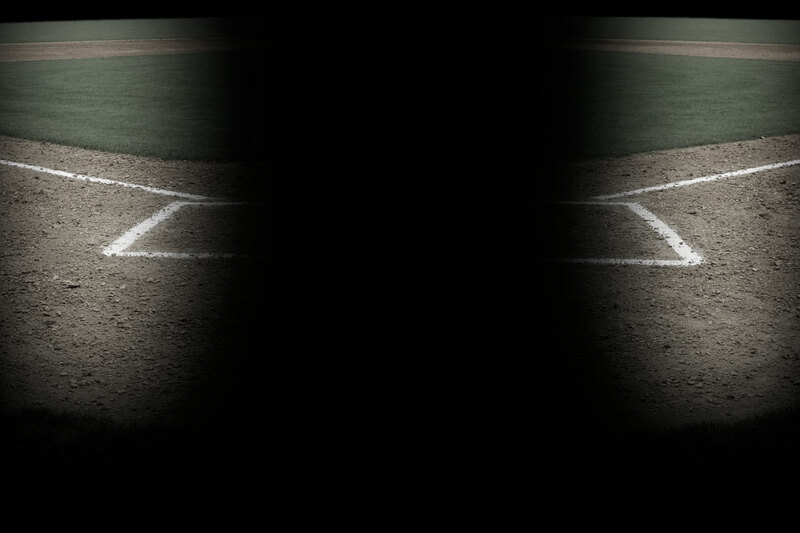 You can read more about Batting Cage Systems and hardware in our Getting Started Guide. Which CurtainCage Is Right For Me? Order the basics, or a complete package to make installation easier and improve functionality with FlexPlates & Roller Wheels. 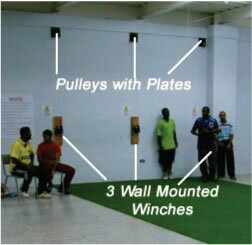 Need open air space for non-batting-cage activities? The LineLift Kit is the answer; allowing the main lines to elevate to your maximum ceiling height. Custom sizes & Crimping services available. Our EasyWinch Batting Cage System lets you quickly and safely take down your cable lines with three wall mounted winches. 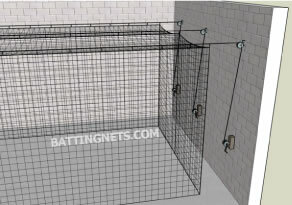 Our CurtainCage Track & Trolley Batting Cage System is the quickest “open to close” manual-operated system on the market. What’s in Your CurtainCage Kit? xThe most common structures are masonry block, poured concrete, wood, or steel beams/tubing. xNo, no, & no. At least not directly. You must find the studs and span a header between them to create an adequate support point -- OR if you have a metal building you can go through the wall and install a plate/anchor on the back-side. xYou can use our steel wall-plates to simply lag into the face of your wall - these include 4 holes to disperse the tension. If you don't use our wall-plates, we recommend going through your anchor point to install a back-side plate/washer for support. xUnless your span is around 30' or less, and you are using a light-weight net, we strongly discourage only using a single eye-bolt to support an entire load. xIt depends on these factors: Total distance spanned, quality of turnbuckles, how tight turnbuckles are tightened. xThis depends on your net height - keep in mind we recommend allowing a minimum of 12" of netting to sag on the floor to collect balls. i.e. if you have a net which is 12'H, you would install your lines at 11'H. xYes. However, we recommend adding the appropriate number of rope "rib lines" to your net for attachment points. Most nets come standard with 3 linear ropes - these are designed to line up with cable lines for attachment. How is this system different from your other CurtainCages? xOur Winch CurtainCage allows the lines to be wound to one side of your facility, clearing your overhead air-space for other activities.